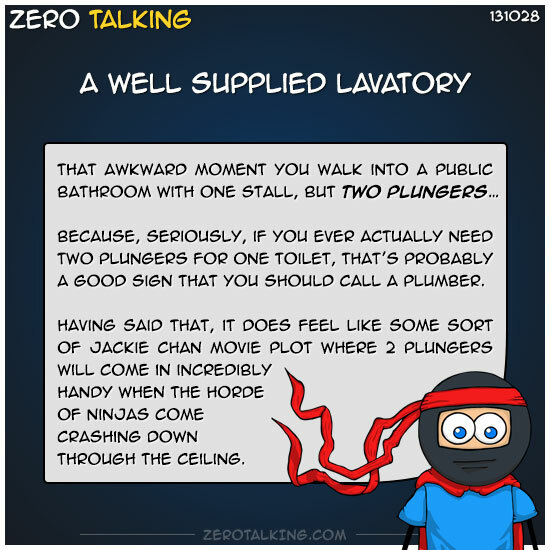 Because, seriously, if you ever actually need 2 plungers for one toilet, that’s probably a good sign that you should call a plumber. Having said that, it does feel like some sort of Jackie Chan movie plot where 2 plungers come in incredibly handy when the horde of ninjas come crashing down through the ceiling. All this scene needs is some unusually dim lighting.